Facebook users who need to take a temporary break from posts by friends, pages or groups without unfriending, unfollowing or leaving will be very happy with a feature the social network is currently testing. Users in the test group will see “Unfollow or Snooze [friend, page or group]” where the current Unfollow option resides in the pull-down menu for posts. 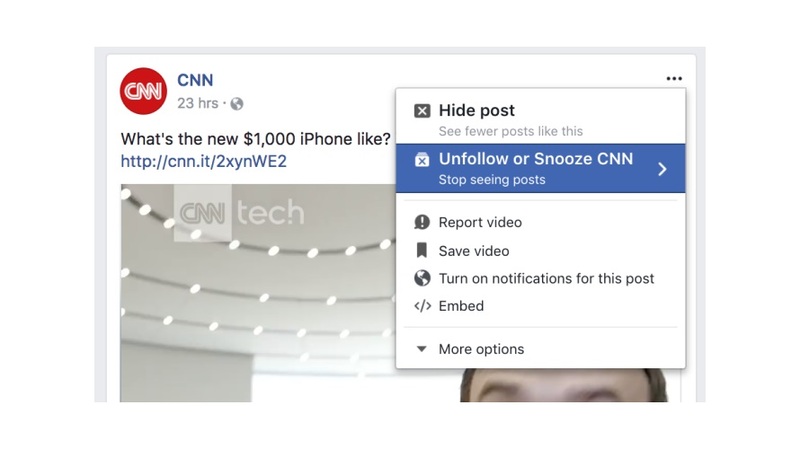 Clicking on Unfollow or Snooze gives users the option of not seeing posts from the friend, page or group for 24 hours, seven days or 30 days, or unfollowing altogether.